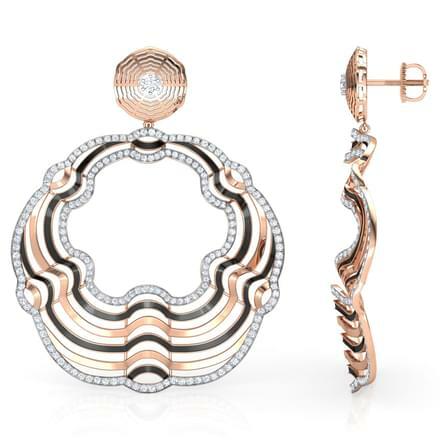 A traditional pair of earrings is the exact ornament a woman is always looking out for. 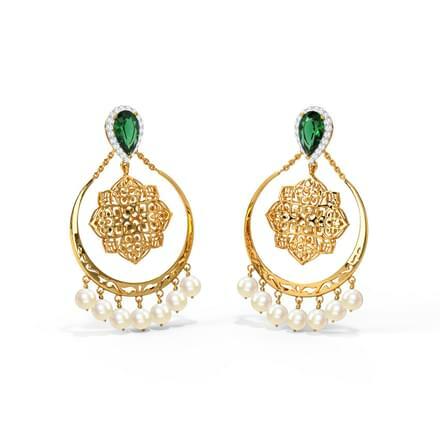 Chandbali earrings top every woman's jewellery favourites, especially when paired with traditional attire. 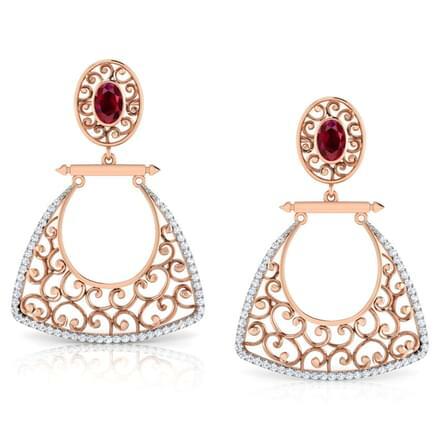 A union of tradition, class and elegance, chandbali earrings are a truly spectacular piece of ornament for women. 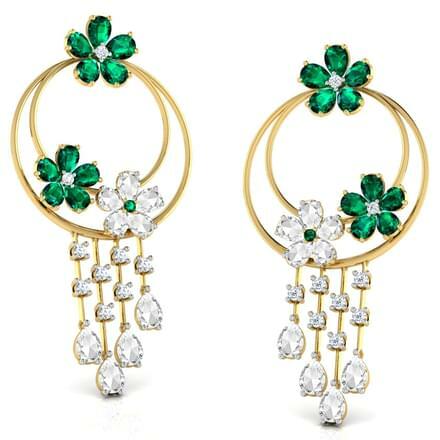 You can buy online from a huge assortment of latest gold, diamond or gemstone chandbali earrings for women. 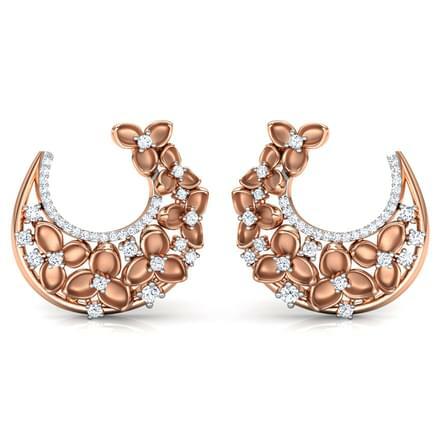 CaratLane is the one-stop-shop for all your online earrings shopping sprees for wedding, evening or everyday wear. CaratLane's collection of chandbali earrings is available in a price range varying from Rs. 15,000 to Rs. 2,50,000, set in yellow gold, white gold and rose gold variants. 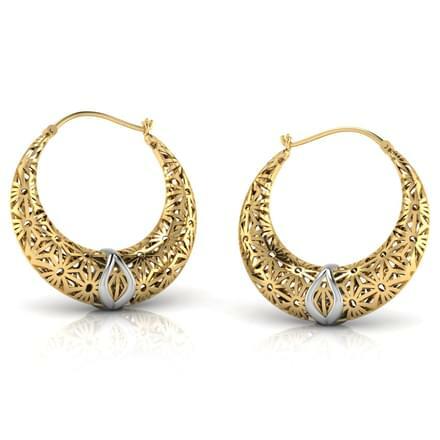 The chandbali earrings are based on contemporary, fashion, floral, antique, Indian and ethnic themes. A classy combination of elegance and style, chandbalis are amazing ornaments for women. 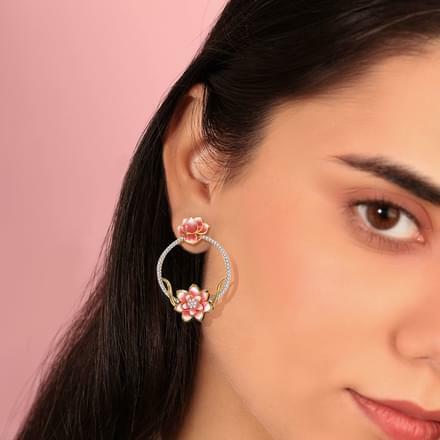 Check out the exciting range of chandbali earrings for women by CaratLane! 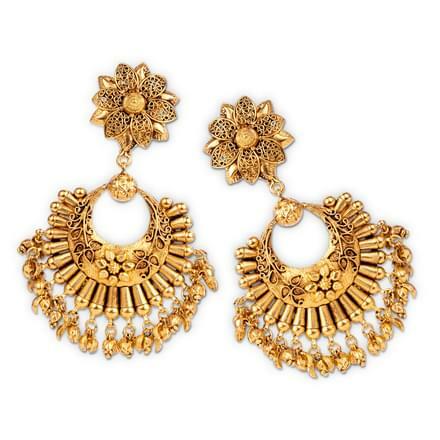 Gold chandbali earrings are a traditional style of earrings worn by women as far as history dates back. Chandbali earrings make for ideal traditional dressing on any occasion. 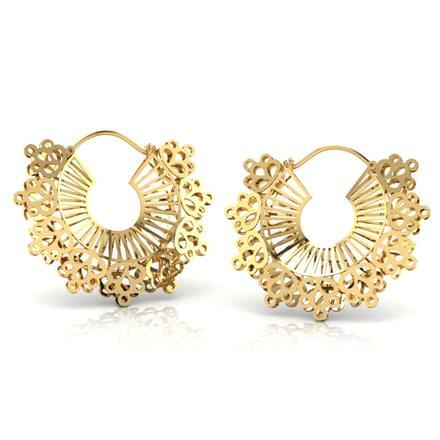 CaratLane offers a magnificent range of gold chandbali earrings to pick from. 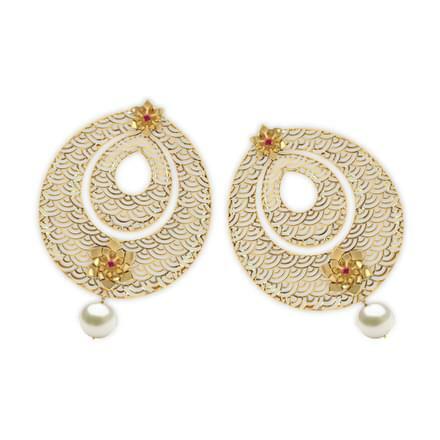 Chandbali earrings for wedding wear is an ultimate ornament for women. The Floweret Gilda Chand Bali and the Zinnia Droplet Chand Bali, both set in 22 Kt Yellow Gold are the perfect examples of beautifully crafted wedding jewellery for women. 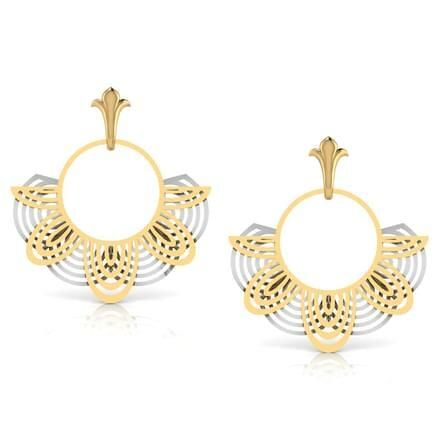 Contemporary designs of gold chandbali earrings are the modern choice of jewellery for women. 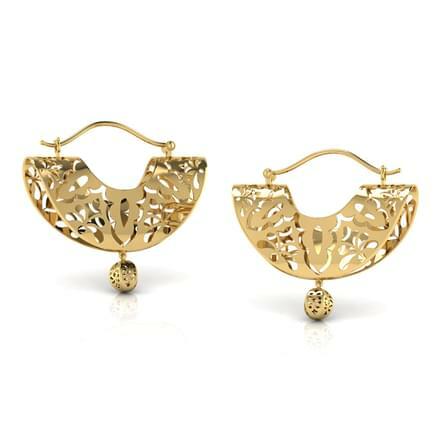 Earrings models like the Pansy Blossom Chand Bali and the Myra Layered Chand Bali from the Gold Lace collection, both set in 18 Kt Yellow Gold are fine pieces of jewellery by CaratLane. You can also try intricate chandbali designs such as the Sachita Gold Chand Bali from the Chokapora collection or the Risha Gold Chand Bali, both set in 22 Kt Yellow Gold for perfect craftsmanship. Shimmering chandbali designs studded with diamonds make for perfect evening wear for women. CaratLane has curated a spectacular range of diamond chandbali earrings for women. 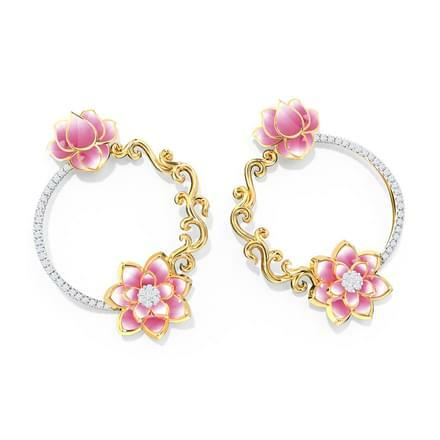 The lotus inspired floral range of diamond chandbali earrings offers designs like the Golden Vine Lotus Earrings and the Lotus Swing Earrings from the Lotus collection, set in 18 Kt Yellow Gold. 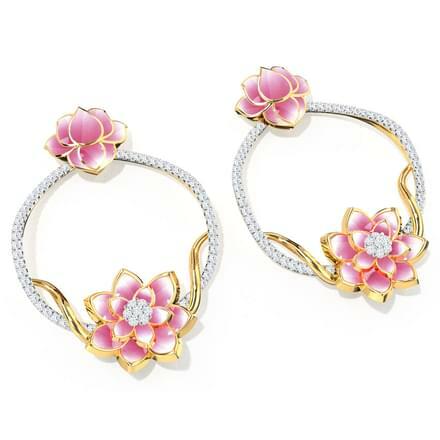 Floral patterns like the Aara Floral Chand Bali and the Sani Floral Wreath Chand Bali, both set in 18 Kt Yellow Gold are delicate and stylish pair of diamond chandbali earrings. 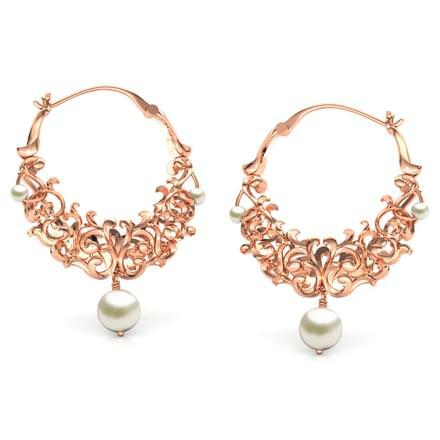 Fine filigree work can be seen in the beautiful piece of jewellery such as the Foolan Filigree Chand Bali and the Fulki Filigree Chand Bali, set in 18 Kt Rose Gold. 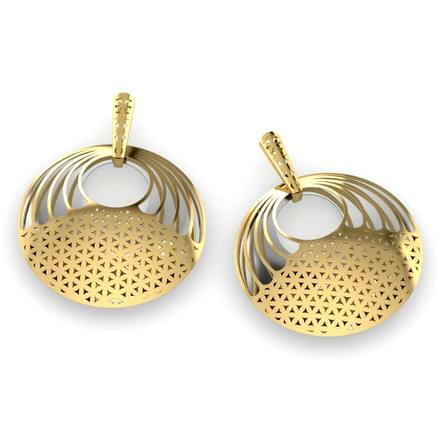 Try the classic pair of earrings by CaratLane, the Aara Droplet Chand Bali, set in 18 Kt Yellow Gold. Pair it with your favourite attire and flaunt a stylish look of your choice. 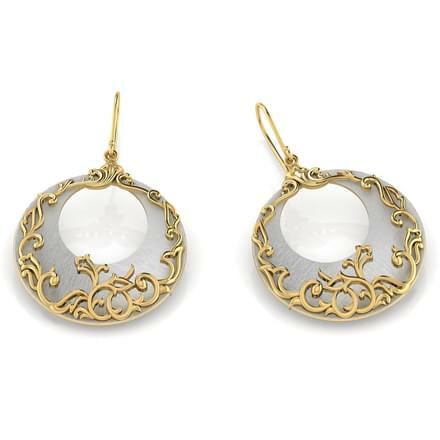 Gemstones make for beautiful pair of chandbali earrings for women. CaratLane offers a vast collection of gemstone chandbali earrings designs online. 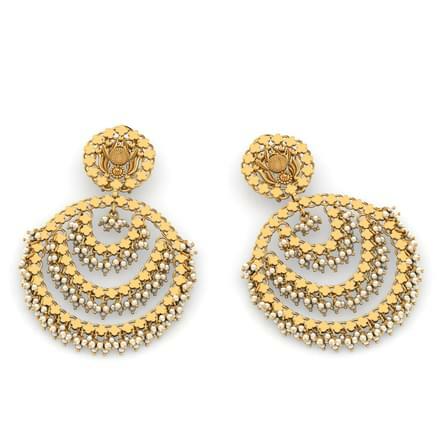 The Madhvi Mesh Chand Bali and the Charu Contour Chand Bali, set in 18 Kt Yellow Gold with diamonds are beautiful and intricately designed chandbali earrings studded with gemstones. 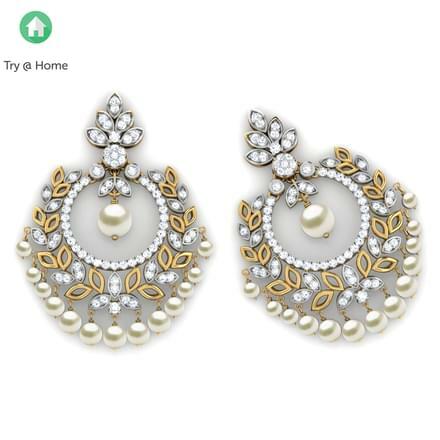 Pearl studded chandbali earrings such as the Sia Crescent Chand Bali and the Esha Paisley Cutout Chand Bali, both set in 18 Kt Yellow Gold are delicate and charming designs of earrings. They can be matched with traditional as well as western attire. 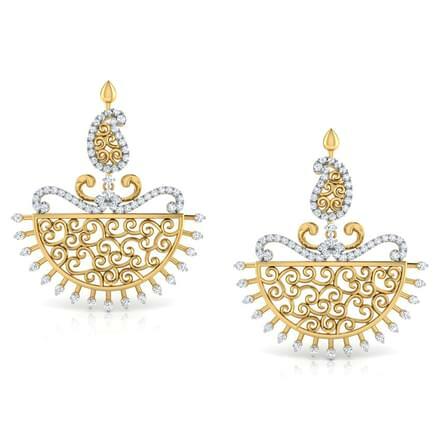 Based on the antique theme, chandbali earrings make for the perfect traditional attire. 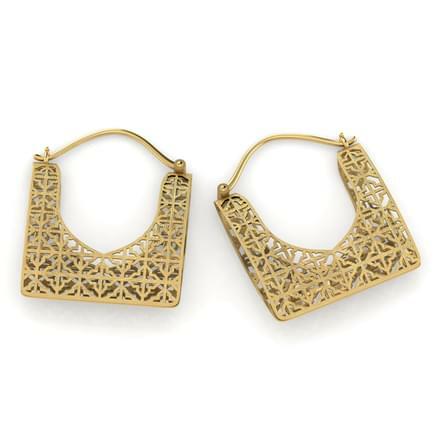 CaratLane has an interesting range of latest antique chandbali earrings for women. The Marigold Fan Chand Bali and the Subra Beaded Chand Bali, both set in 22 Kt Yellow Gold are beautiful fan shaped chandbali earrings. 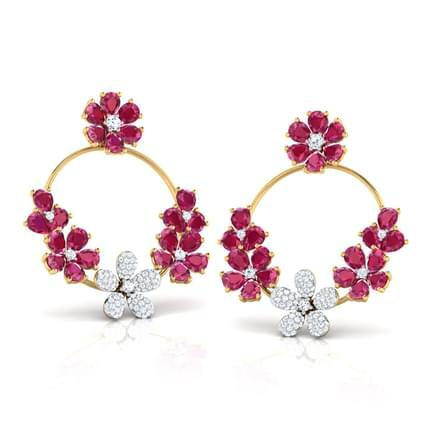 Chunky and bold designs of earrings, make for gorgeous bridal wear for women. The Kaia Layered Chand Bali and the Rati Embellished Chand Bali, set in 22 Kt Yellow Gold are impeccable designs of chandbali earrings based on the antique theme. Shop Beautiful Jewels from CaratLane! 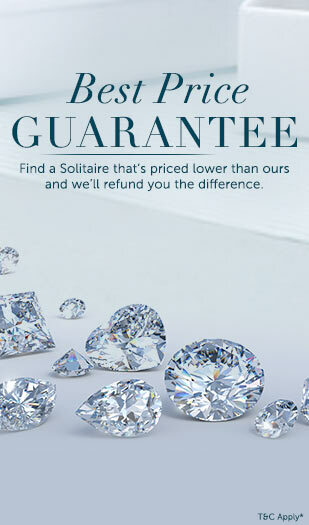 CaratLane is the go-to-place for every jewellery lover. Enjoy a hassle-free shopping experience and use various payment modes, such as net banking, debit/credit cards and online finds transfers. The portal allows its customers to make convenient free 30-day returns and lifetime exchanges along with a buy-back option. It provides 100% certified ornaments approved for authenticity by third-party international laboratories like SGL, IGI, BIS, GIA, GSL, GSI and Variety Hallmark. Experience a convenient and seamless jewellery shopping experience at CaratLane. 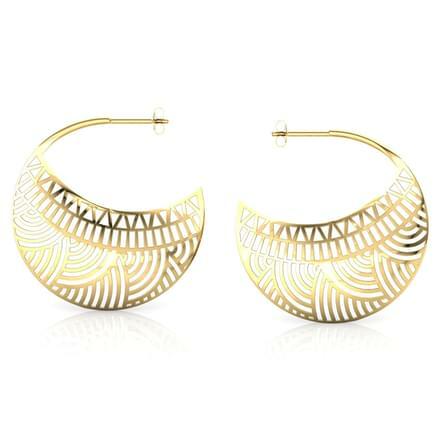 Buy your favourite chandbali earrings for women!